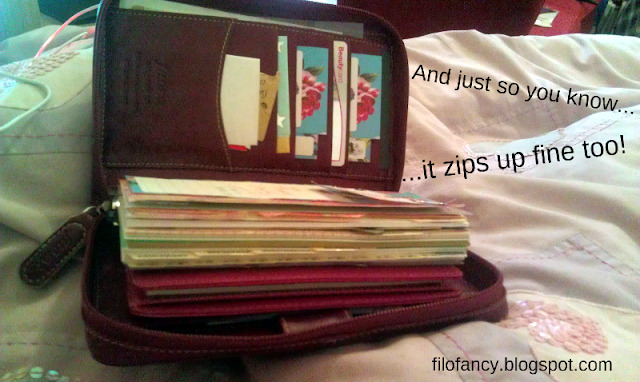 I'm still fairly surprised that Filofax fans aren't raving more about the various perks of Flex organisers. 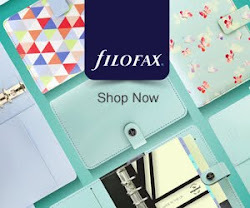 I was even more surprised when I went into the flagship Paperchase store on Tottenham Court Road recently to discover that their lovely Flex by Filofax display has been removed and they aren't stocking the Flex any more. What a disappointment. I don't think you guys 'get' the Flex yet! I do a few casual shifts in a bar around the corner from where I live, and so I like to nip down the street with as little as possible holding me down; usually because I'm running late. 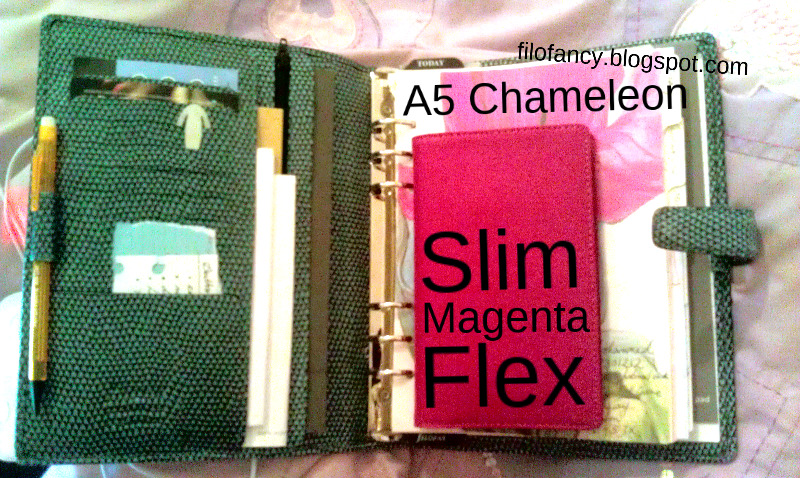 My Slim Flex fits perfectly in my little handbag, and what's more, my HTC smartphone fits perfectly in my Slim Flex! When I get to work, my handbag goes in the office, but I like to keep my phone behind the bar, and it just feels safer slipped into the inside pocket of my Flex because its not on display. During a quiet moment I sometimes like to sit on a stool with my Flex open; my smartphone on one side open on a cocktail app, and my notebook on the other side with my scribbled notes and diagrams of different cocktail recipes I am trying to learn. It just makes sense! You have to stop thinking about the Flex as a Filofax organiser in the traditional sense, and start thinking outside of the box. What else can a Slim Flex hold? 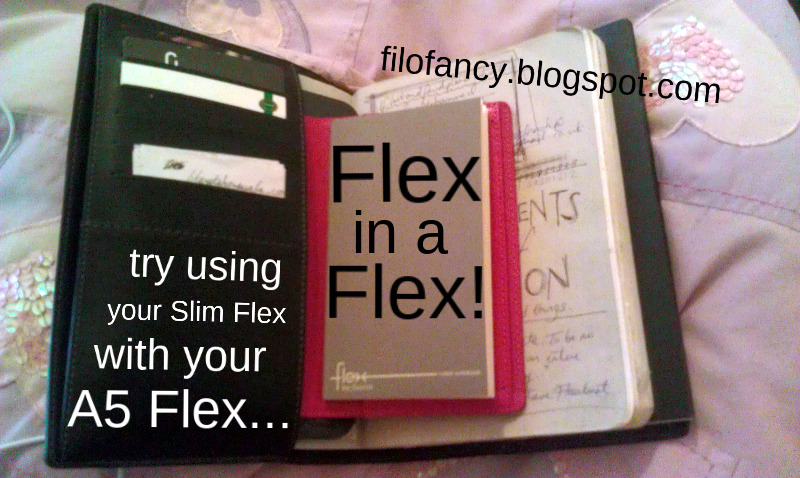 Your passport, receipts, notes, cards... the Flex isn't here to replace your Filofax, its here to compliment it! You can slip your Slim Flex into pretty much any personal organiser - play around with colours too, and accessorize your Personal Filofax with a Flex. Do you have an Aqua Personal Chameleon? Why not team it with a Slim Flex in Slate? My Magenta Slim Flex looks pretty cute slipped into my new Chocolate Personal Aston. I bet it would look even better slipped into an Orchid Aston with the pink stitching! 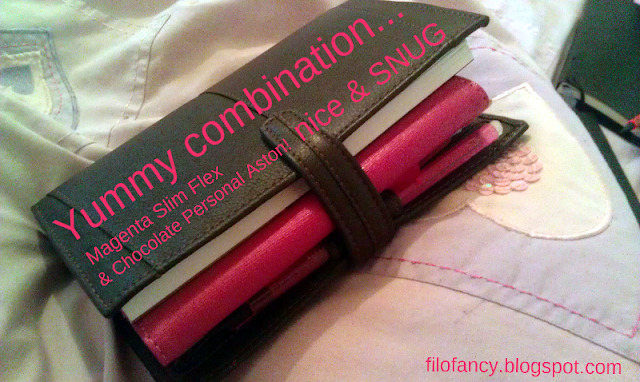 Contrast a lighter shade of Filofax like the Mushroom Aston with a Black Flex. (Sorry... I'm a little obsessed with Astons right now). Here are some pics of what my Slim Magenta Flex looks like with some of my other Filofaxes. 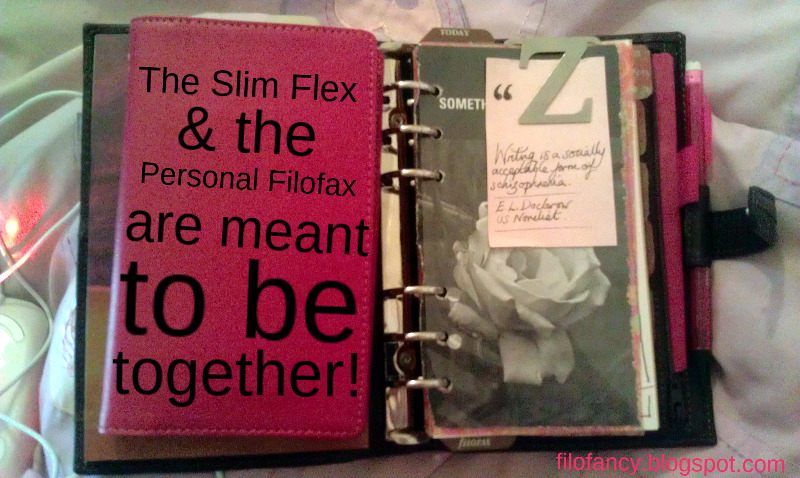 As you can see, the sizing of the Slim Flex is ideal for a personal Filofax. This is my Slim Magenta Flex popped into my Personal Wine Holborn Zipped Filofax. I love my new Holborn zipped because I can literally chuck anything I like in loose, and then zip it up to keep everything together. That's why the Slim Flex works so well with it. I don't have to fit it into any slots or pockets, it just sits there, like its laying back on a sun-lounger! Wondering how I am using my Slim Flex with my Holborn? Well I just love the little bound Flex Notebooks! You can get a lined one or a plain one and they're great for scribbling in. 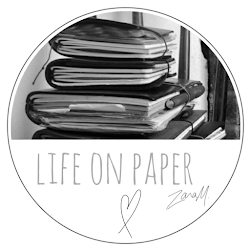 I know you can use Filofax paper inserts for this, but there's just something about scribbling in a little bound notebook, making doodles, sketching, jotting things down... I am also experimenting with a new diary system whereby I want to start using a Flex bound diary insert as a way to permanently record important dates and things I have done; and then use my Filofax more as a non-permanent planner/organiser; which is what its really designed for. I have always found the non-permanent nature of Filofax inserts annoying as I never feel I can relax knowing all my info is there forever in a proper chronological order. You can use your Slim Flex to keep a small collection of mini-notebooks to compliment your own Filofax system. 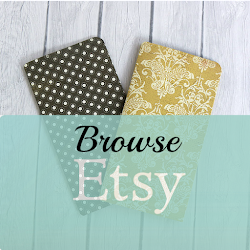 You can fit 1-4 slim notebook inserts into these Flex binders after all! Or how about making it your sticker and post-it station? Now that's a good one! You might think the Slim flex will dominate in your Filofax, but it can quite neatly slip into the back and out of the way. 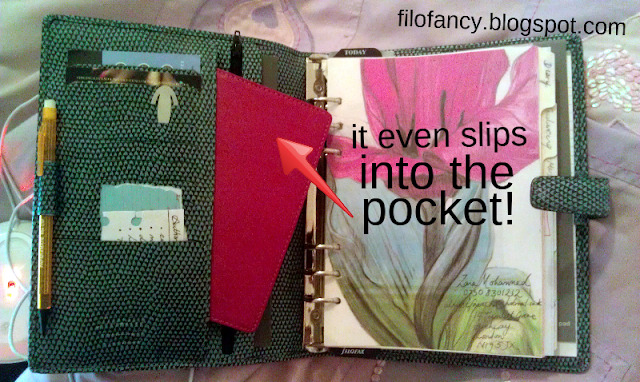 It doesn't even fall out when you open your Filofax up, because your Filofax inserts press the Flex against the back cover. 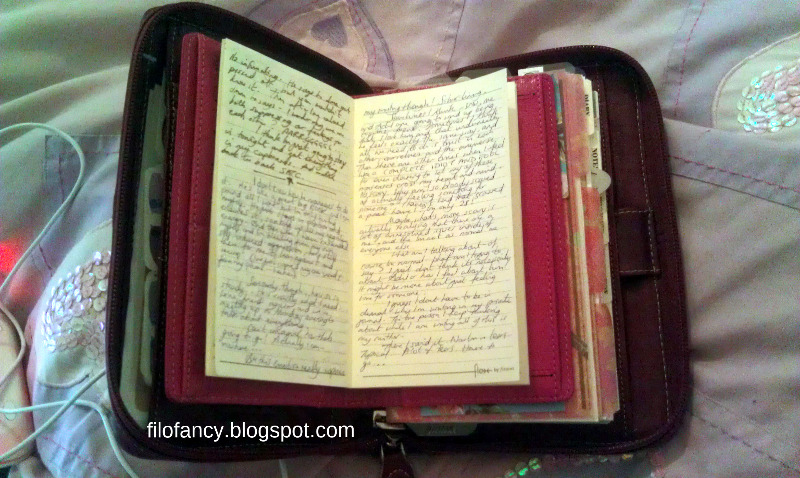 With my Pocket Guildford, I used to slip an old stretchy hair-band over the back cover so that I could slip a thin notebook in the back and the hair-band would keep the notebook in place by its spine. 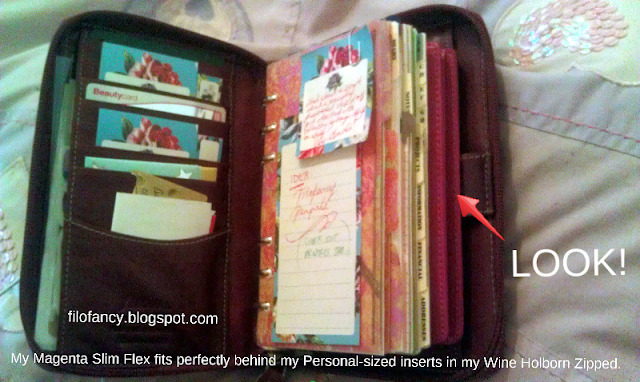 Well there's no reason why you can't do this with a Personal-sized Filofax and a Slim Flex binder! It would provide extra card slots, notebooks, a jot-pad; not to mention those all important slip in cardboard pen-loops... Sometimes I use my Slim Flex cardboard pen-loop on its own in my Personal Aston - you can just slip it into the front or back pocket. Don't you think the Aqua of my A5 Chameleon looks even more fun and girly when teamed with my Slim Magenta Flex? Well I do! Hee hee. Besides, I like to mix up different sizes, it adds character to my super-system of organisation. Hi! I too am an addict! But I have few for sale if you are interested.